WASHINGTON (KRON) - Big Mac or Chick-fil-A chicken sandwich? 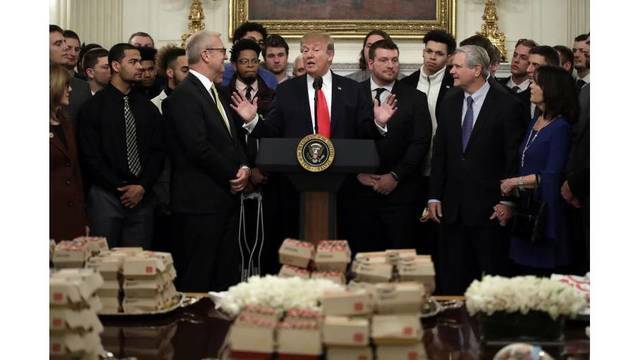 Those were among the choices of fast food items available to the North Dakota State University championship football team as they visited President Trump at the White House on Monday. The Bison, who are celebrating a seventh win in the last 8 years, got a full fast food spread similar to the one the Clemson Tigers enjoyed back in January. 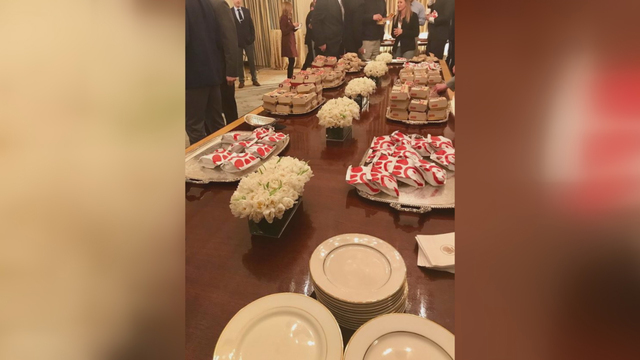 This time around there's no government shutdown, but Trump allegedly told the team while he could have had the White House chef prepare food for them, he ultimately decided against it. “I know you people,” Trump said to a laughing crowd. “We like American companies," he said, according to the Washington Post.